Set sail for the true source of the experiment aboard the Black Ship. Mr Underwood may be better known to you as one half of Ore, whose website is worth a visit just to read the full line-up of the band; Stuart Estell – Tuba, Sam Underwood – Tuba. From this you can see we are dealing with a man who likes to experiment. 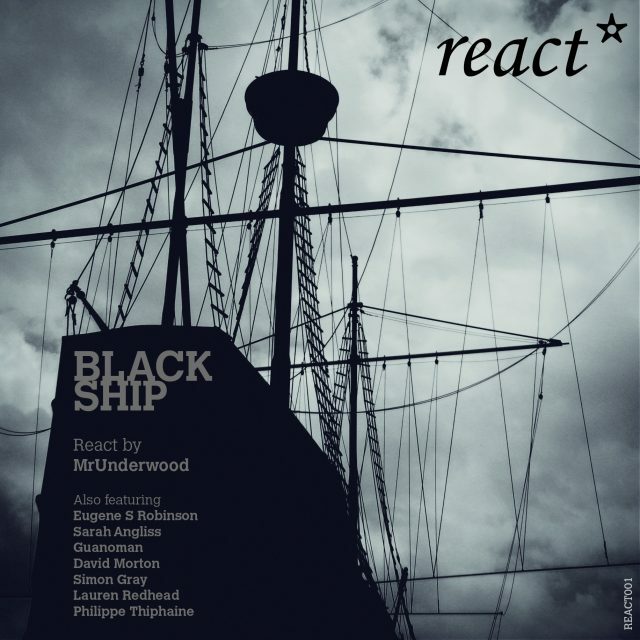 For REACT001: Black Ship however the experimenting has been left to a host of collaborators who have reported back with their findings in an extraordinary manner. The results of the experiment make for a really cohesive album; an album that moves in many directions all down to the way it has come about. The track titles are purely the names of the various collaborators keeping everything pure and simple, except for the music contained within. Opening the album is another of Sam Underwood’s regular collaborators: D H Morton. Who can usually be found designing and building new and interesting musical instruments as part of Morton Underwood. The track with his name attached is an almost drone like piece of plaintive guitar work fitting perfectly with the cover art and in an unhurried way setting the scene for what follows. What follows immediately is a bass line that punches into your chest as Eugene S Robinson takes control. His spoken word telling us about rain, the dark night sky, chaos and the natural cycles of nature like a ghost pirate on board a midnight rave ship. He is gone as suddenly as he [had] arrived. Guanoman once again picks up the guitar as his weapon of choice, adding an eastern feel to the proceedings before Lauren Redhead adds a new twist. 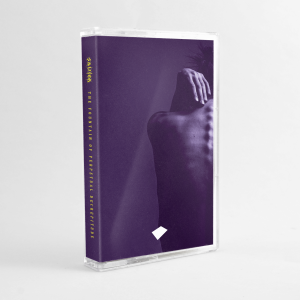 Her own addition encloses you in its warm shifting drones, feeling almost sub like. MrUnderwood again starts his own rendition with extended drones before, at the halfway point, adding loops of decayed piano. Philippe Triphaine aims straight for your chest with just under 8 minutes of feedback driven guitar noise before Simon Gray takes us in almost completely the opposite direction. His electronic version being the most minimal offering, thunder like percussion and what could once have been a cello being the main points in a well balanced track. Leading nicely to the closer by Sarah Angliss who warps and wraps a lovely set of sounds around some stark piano work to beautiful effect. Black Ship really works as an album; it has flow to it and the tracks all feel linked in some way which is a testament to the artistry of those involved. Sam Underwood is a man with his fingers in many pies. If you don’t already know of his projects I strongly suggest you investigate further.